This cabinet is delivered flat packed. 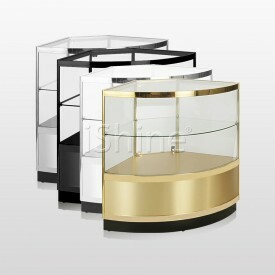 This stylish gold display counter blends affordability, design and quality. 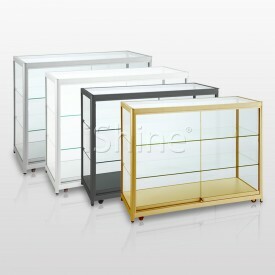 This design of display case is ideal for displaying trophies, collectables, jewellery and several other small products. 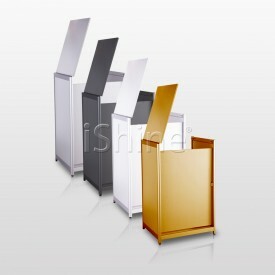 This unit is available in four colours silver, black, gold or white and comes in a range of sizes. 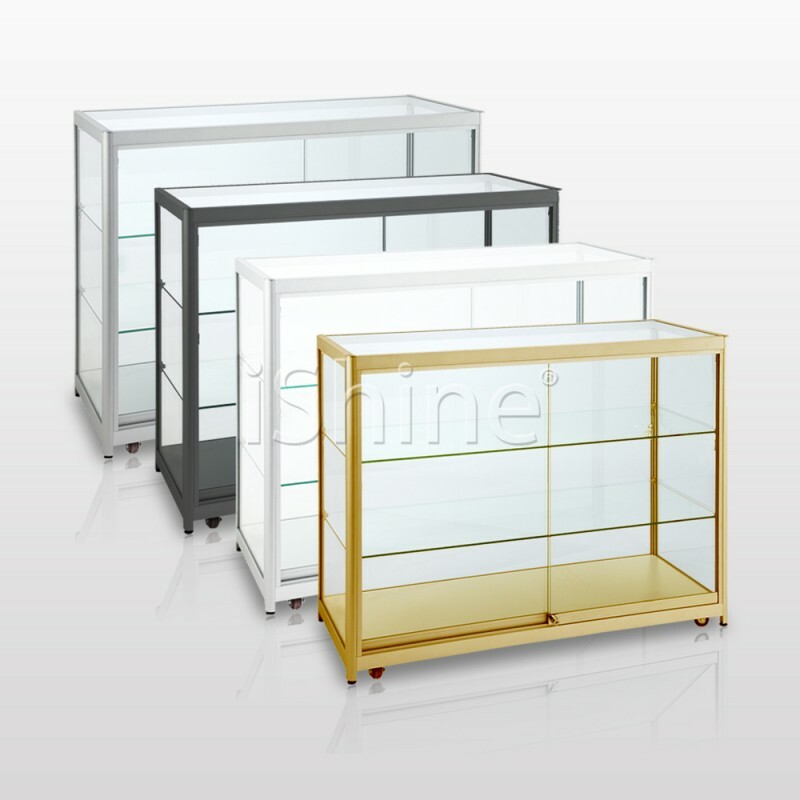 It has a robust aluminium frame and tough glass throughout to make sure that you have a professional, modern and enduring display. The shelves in this glass cabinet are completely adjustable allowing them to house and compliment your display as you imagine. Moreover, the feet on this glass storage cabinet are adjustable which allows you to make the unit level and stable. 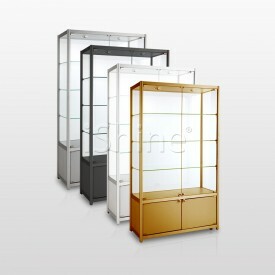 This glass storage cabinet comes with LED lighting aiming to give the best possible display for our valued customer. This assortment of lighting options is just one of our several bright ideas included into our retail counters. We know our customers’ time is valuable and no one wants to waste their day figuring out the instructions, for that reason our units come fully assembled giving you a headache free experience. Additionally, our aluminium cabinets are supplied with exclusive Schmitz locks along with two sets of keys so you can be relaxed knowing your goods are safe and secured. This makes it an ideal jewellery shop counter. 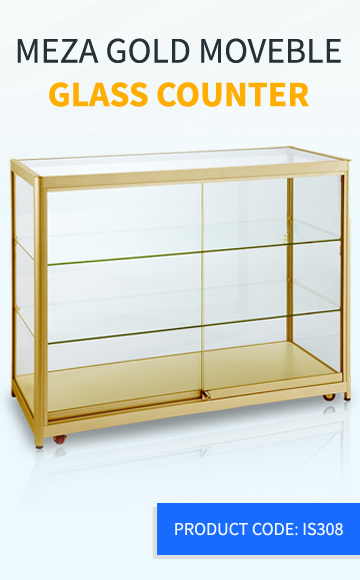 We can also customize this to make it a personalized display cabinet designed just for you. The prices and quality that we offer are one purchase that you absolutely won’t feel guilty about.